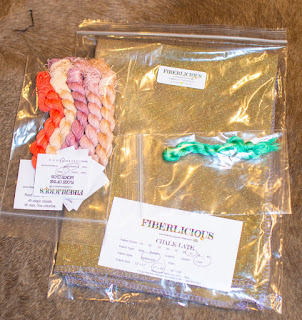 Warm, summery colors from Fiberlicious. Not sure what I am going to do with these colors. The green was a freebie.